A very blessed and joyous new year to you! Thanks for stopping by my combined Word-Filled Wednesday and Thankful Thursday post. This post was originally posted on Monday. ♥ Thank God for seeing us through another year of walking with Him and serving Him. May God grant us a closer walk with Him and a deeper love and devotion to Him. ♥ Thank God for granting me a very refreshing and fruitful weekend and Lord's day of worship, fellowship and service. Trust you too have had a very blessed and restful weekend! ♥ Thank God for preserving and restoring the health of Madam Chan. I shared about a wonderful reunion with her recently after 10 years interval. Madam Chan is 92 years old and came to know the Lord more than 10 years ago and I was then given the privilege to minister to her. Thank God that she was baptised recently on 7 December 2008. Madam Chan was very sick last week and I thought the Lord might take her home. Thank God for restoring her health and she is better now. She is continuing to trust in the Lord and waiting upon Him to call her home to Himself. She is full of thanfkulness to our Lord despite her bodily afflictions. She is a wonderful encouragement to me and my brethren. ♥ Thank God for providing my family, church brethren and blogging friends who continue to care and encourage me in many ways. ♥ Thank God He knows our every need and will provide for us. A friend and brother-in-Christ send me this very very encouraging story of God knowing our needs and providing for us even before we ask Him. May this encouraging story encourages our heart in this new year as we walk with our Lord Jesus Christ and serve Him, trusting in His love and mercies that He will provide for all our needs spiritually and physically. 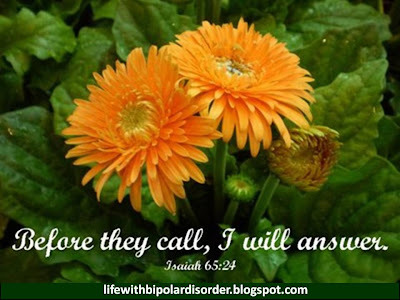 Isaiah 65:24 "Before they call, I will answer"
One night I had worked hard to help a mother in the labor ward; but in spite of all we could do, she died leaving us with a tiny premature baby and a crying two-year-old daughter. We would have difficulty keeping the baby alive, as we had no incubator (we had no electricity to run an incubator). Another went to stoke up the fire and fill a hot water bottle. She came back shortly in distress to tell me that in filling the bottle, it had burst (rubber perishes easily in tropical climates). "And it is our last hot water bottle!" she exclaimed. As in the West, it is no good crying over spilled milk so in Central Africa it might be considered no good crying over burst water bottles They do not grow on trees, and there are no drugstores down forest pathways. As often with children's prayers, I was put on the spot. Could I honestly say,"Amen". I just did not believe that God could do this. Oh, yes, I know that He can do everything, the Bible says so. But there are limits, aren't there? The only way God could answer this particular prayer would be by sending me a parcel from homeland. I had been in Africa for almost four years at that time, and I had never, ever received a parcel from home. Anyway, if anyone did send me a parcel, who would put in a hot water bottle? I lived on the equator! Halfway through the afternoon, while I was teaching in the nurses' training school, a message was sent that there was a car at my front door. Together we pulled off the string, carefully undoing each knot. We folded the paper, taking care not to tear it unduly. Excitement was mounting. Some thirty or forty pairs of eyes were focused on the large cardboard box. From the top, I lifted out brightly colored, knitted jerseys. Eyes sparkled as I gave them out. Then there were the knitted bandages for the leprosy patients, and the children looked a little bored. Then came a box of mixed raisins and sultanas - that would make a batch of buns for the weekend Then, as I put my hand in again, I felt the.....could it really be? I grasped it and pulled it out - yes, a brand-new, rubber hot water bottle. I cried. I had not asked God to send it; I had not truly believed that He could. Ruth was in the front row of the children. She rushed forward, crying out, "If God has sent the bottle, He must have sent the dolly too!" I read this story a few weeks ago and also found it really inspiring. Isn't it great to know that God knows our needs LONG before they even become our needs? I find that amazing!!! It's awesome to serve a God who loves us so much that He just wants the best for us. Hope you have a wonderful week, Nancie, and that God shows up in your life in unwxpected ways!!! What a beautiful story of faith and in believing even in the midst of the most desperate circumstnaces. Thanks for sharing this story with us. Such a wonderful story! Faith... believing in what we pray about.... God is so good! Thank you so much for this inspiring story. What a beautiful story! I hadn't read this one before. Thank you for sharing it with us. What an amazing story!! Thank you so much for sharing it. I'm inspired. What a beautiful story.God always meets our needs.God Bless You and have a great day. So glad you are back Nancie! Love the two photos and your list of praises...our God is so good! Oh I've always loved that verse. I didn't get a chance to read your whole post as I'm off to work. I will have to come back and finish reading it. What a beautiful story and a great verse and picture. What an incredible post today. Thank you for the blessing. Thank you Nancie for all the wonderful things and the story you've shared today. Have a blessed WFW! What a beautiful story and pictures. Loved the Scripture, too. Our God is so faithful and I'm so encouraged by your post! Happy WFW! Great job. As someone who has just been diagnosed with bipolar type II it's great to find your blog. Also, I'm having a great Inspiration Giveaway on my Devotional Days blog, so check it out! It's hard to type as I'm tearing up over this story. Our Heavenly Father truly loves us. I can never get enough of these miracles of our Father. Well, to me they are miracles, to Him....a simple matter that I'm sure puts a smile on His face. Can you imagine the difference in people's lives if these events were reported when they happened. A continual confirmation to believers and a tug at the soul of the unbelievers. Many thanks for your inspirational posts, my friend. Blessings & happy blessed New Year to you...Nancie...Awesome to see you posting and such a beautiful combination of WFW & TT & an example of great FAITH in the story & in Madam Chan! As usual your talent in beautiful photography shines with the perfect verses in both! I pray that this New Year finds you well & walking in His truth as you call on Him! 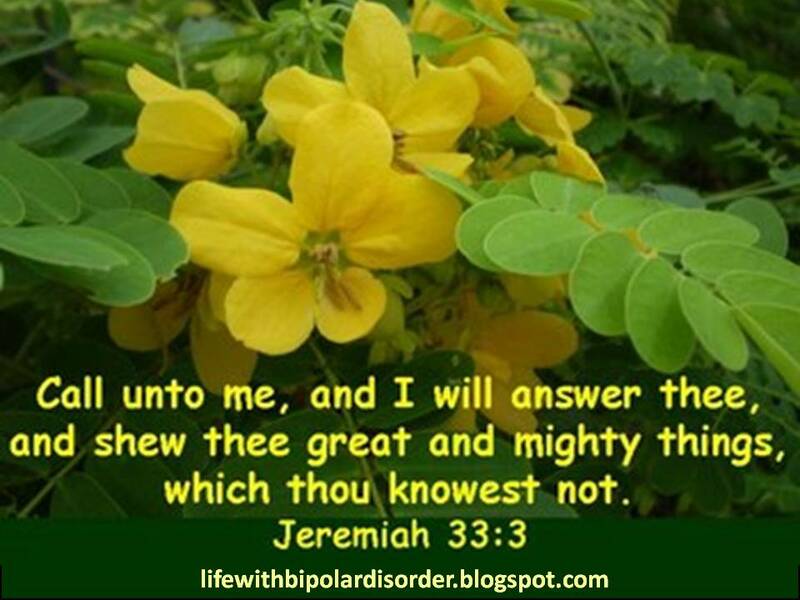 May He show you great & mighty things & answer your deepest prayers even before you call or ask Him! I so appreciate your thankful heart always before Him humbly & reaching out as you learn to manage your time, health and work! May your own family come to see Jesus & accept His new life this New Year! I pray that your New Year is very blessed & joyous & FILLED with God's Word & JESUS! Thank you for being my friend! Beautiful! Praise God that He continues to show us the things that we know not! Beautiful. Wishing you a blessed new year with much joy and happiness. I am keeping you in my thoughts and prayers. I love you my friend. Great TT post for the new year. Have missed you. So glad to get over for a visit. I love this story you shared. Our Lord is amazing... amazing. Oh the faith of a child. They have no reason to doubt. The simply believe! What a precious story that truly blessed me tonight! Especially with Scott leaving for Africa (Ethiopia on Saturday) to bring home our newest son. Yes, it is wo wonderful the ways in which the Lord provides. Happy Thankful Thursday, Nancie! Beautiful post...God is so good! i've read that story before but when i read it again, i was just so encouraged that truly, God knows our needs even before we even need them or ask for them. I am so glad Madam Chan is doing better. People of here generation are treasurers. I enjoyed your tt post. tear-jerker... heart-warming. i missed joining the TT. thanks for posting that lovely story. i love your choice verse "Before they call, I will answer" (Isaiah 65:24. this is my testimony of God's faithfulness last year. I was so thrilled to read about your reunion with your friend a few weeks ago. God is so good to us. I pray God blesses you today and always. Thank you for sharing that touching story. I pray you have a wonderful Thursday. Hi Nancie! I missed TT for quite sometime and it feels good to be back! missed reading some posts from you too. happy new year and MAy the Lord keeps on blessing you as you continue to be a blessing to others! I absolutely LOVE the verse at the top of this post - Jeremiah 33:3. I'm going to write that one down on an index card! I've read this story before and it gives me goose bumps! Thanks for sharing! This is a wonderful story Nancie! I've heard it before but it still is so powerful. I love that scripture from Isaiah. Rich blessings to you! I hope you are having a great beginning to the new year. Nancy, so encouraging to me. I think that was for me. I have a request I am afraid to even ask because it doesn't seem possible. And to know God has our answer before we call on Him....amazing. This is just an awesome verse. I will ponder it tonight: "Before they call, I will answer."